Manana has travelled extensively in the Caribbean and Bahamas. No expense has been spared to upgrade and maintain her. She is in immaculate condition and ready to go on her next voyage. Complete with many extras this is a yacht to seriously consider for cruising the world. 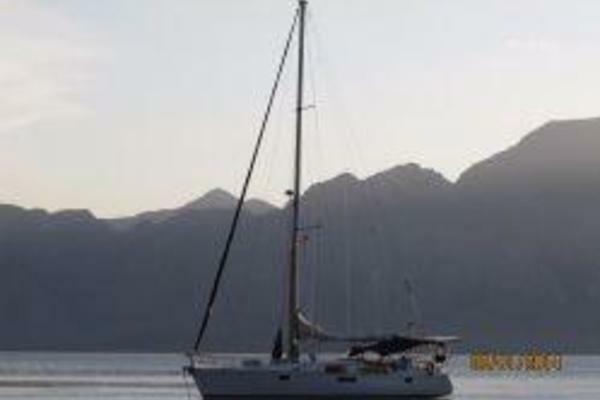 Her Bruce Farr design is a pleasure to sail and her versatile staysail rig is easy to manage in all conditions. The 57 features a beamy, high volume hull with rounded sections below the waterline, moderate deadrise and high aspect foils. The rudder is balanced semi-elliptical spade positioned all the way aft for maximum leverage. Manana carries a 6'11" draft with a ballast/displacement ratio of 35% and a lively Displacement /Length ratio of 177. Sail Area/Displacement is at 17.1, strong but not over powering and providing very capable light air performance. If performance cruising is one of your hot buttons, Manana is a must see!